Ever wanted a personal assistant like Jarvis for yourself? Fear not. 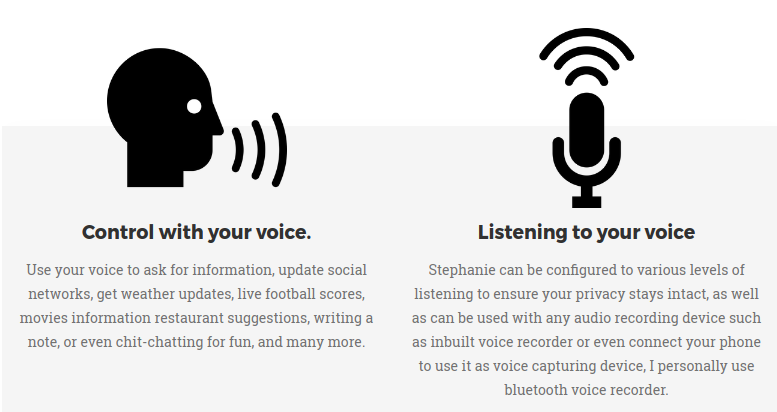 [Stephanie][http://slapbot.github.io] addresses the problem by providing an open-source platform built specifically for voice-controlled applications as well as to automate daily tasks and hence imitating much of a virtual/personal assistant’s job. Stephanie is written in python and has really minimalistic hardware requirements, it just boils down to having a working machine, speaker and a mic of any sort because of its amazing compatibility and cross-platform support. After that you just need to download few files and with just couple of clicks away, you have a working virtual assistant installed in your machine. Stephanie is completely open source, even the algorithm which is used to predict the intent (I’ve written a paper on it which I would highly recommend to anyone interested through this link: Sounder) is open-sourced so basically you are using a software which is entirely community driven. 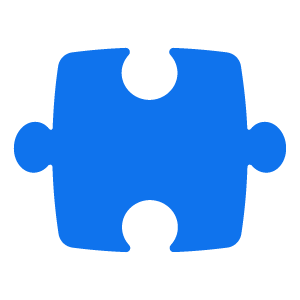 So since Stephanie is completely open-source, you can integrate it with lots of public/private API’s to take the application to a new level, where the already implemented ones are Facebook, Twitter, Evernote, Google Calendar, IMDB, Wikipedia, Zomato to list a few as the entire list is located at documentation. The Developer Guide written is basically for programmers to guide them on the process of how to write their own modules and extend the functionality of Stephanie, its also 100% customizable, from changing its name to actual responses, everything is completely customizable. Basic/Beginner understanding of programming and a prior experience of python programming language will be beneficial. Whereas about Stephanie, well it was very well appreciated in the online communities like reddit where it shares the top 15 all time posts of learn programming subreddit, front page of hackernews and trending of the day at github with more than 600 stars. I have written a blog here at medium about it and there is a video where I have demonstrated the use of it: Youtube. Some actual developer API usage explained in this answer at Quora as well as in the documentation section.